I call my Christmas Tree a Memory Tree. Every year I love putting up my Christmas Tree and I hate taking it down. With each ornament I hang, I am hanging a memory of what we have done as a family or as an individual. 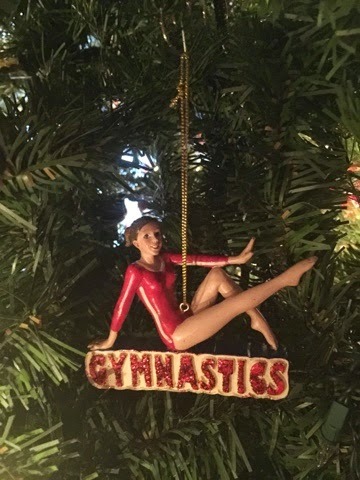 Each year I try to buy ornaments that shows our activities for that year. If we go somewhere on a trip or if it is a first time adventure I try to find a ornament to represent. So this year as I take my tree down and as I wrap up memories, I wanted to share my new ornament additions. Last year was a sad year. One of our family members lost his battle with cancer. Our Airdale will be truly missed. These ornament was a year over due. 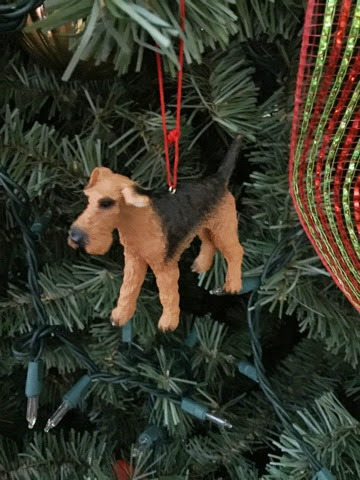 I could not find a ornament I liked. 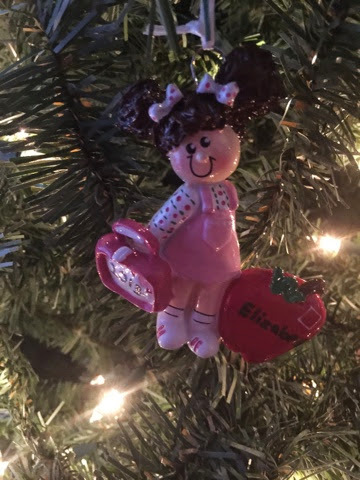 This ornament represents my daughters first year of school. The hair is the same color as hers. We took a fun filled family vacation and stayed at the Great Wolf Lodge. This was my son's first trip there. The water park he loved. 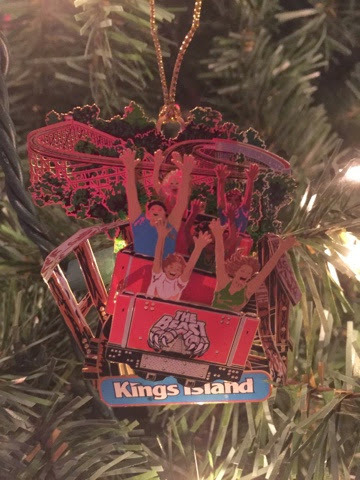 This ornament represents a few years back, for our daughters first trip to Kings Island. 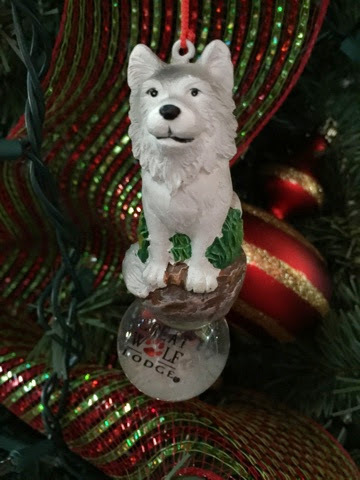 These ornaments are very hard to find in the theme park or even on the web. I just happen to stumble upon them one day in a little bin. My daughter started taking Jazz lessons this year. 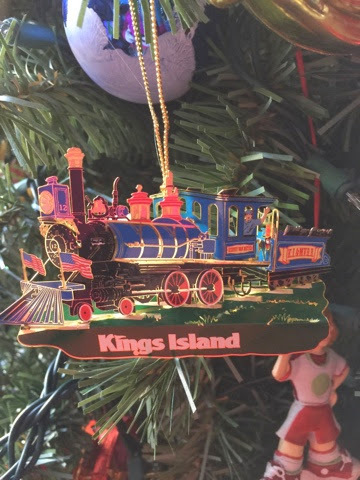 Here is another ornament from Kings Island. This represents this year for our son's first visit and that my daughter rode the big roller coasters this year. My daughter started playing the violin this year at school. 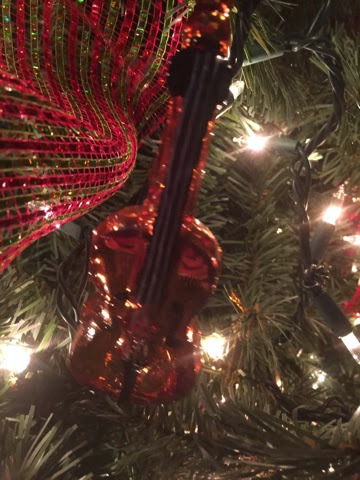 After I bought this ornament and hung it on the tree, my daughter informs me that this looks to be a cello and not a violin. This is going to be my violin until I can find a better one. 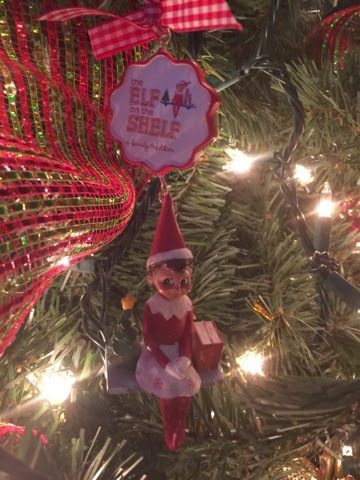 This was the first year that I saw the Elf on Shelf ornaments. I had to pick this up to celebrate our Isabella. My daughter had many first this year. It will soon be my son's time to have many first. 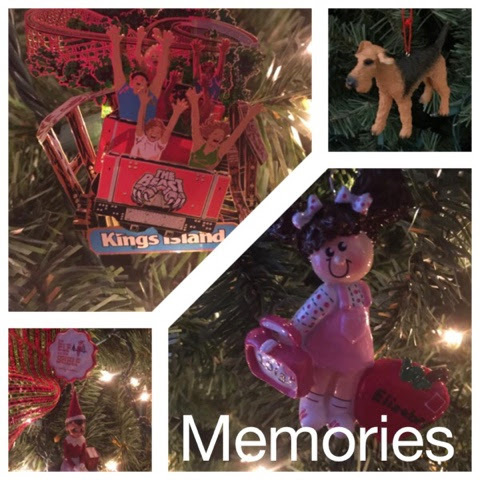 Check out the rest of my memory ornaments from years past. 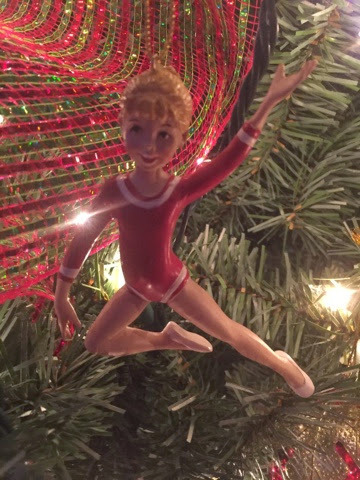 Do you place meaningful ornaments on your Christmas Tree? One day I hope to have every branch full.